The police trailer does not block any public views nor does it take up any necessary parking spaces, so ruled an officer of the San Diego Planning Commission. 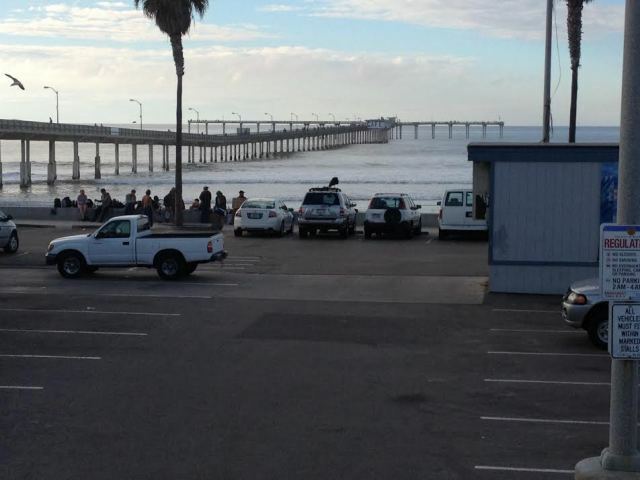 On Wednesday, Dec. 4, a hearing by an officer of the San Diego Planning Commission ruled that the City does not have to remove the so-called police trailer from the parking lot at the OB Pier. The hearing was held to make a judgement on whether the City of San Diego had to comply with a violation that the California Coastal Commission slapped on the trailer and its owners back in July of this year. The police trailer is owned by the City and supported by the OB Mainstreet Association as a deterrent to drug dealing and other anti-social behavior. Others call it an eyesore and an unnecessary structure that takes away parking and blocks view. Some residents and merchants in OB have been split on this issue of the police trailer since at least all of this century. The decision that the City did not have to remove the temporary structure was based, according to an observer, on some questionable determinations that the Commission made. The Commission determined that no public views were obstructed. City project manager Helene Deischer testified in person and in a written report to the hearing officer that no public views are blocked. 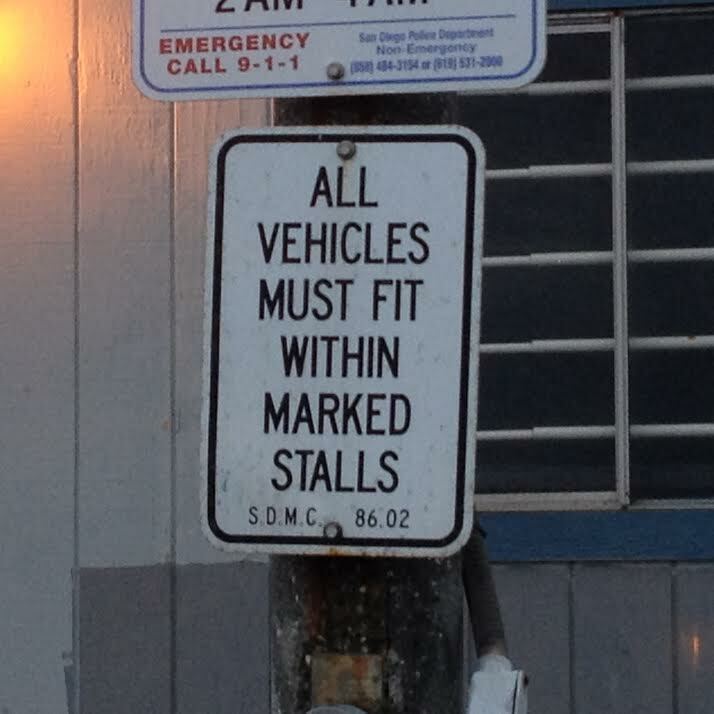 A second questionable determination was that the trailer did not take any public beach parking – based apparently on a technicality, that according to city code those 4 spaces occupied by the trailer are not “required parking” – allowing the City to do with them as they please, like having a trailer. Both the current community plan and the new update clearly state that here is an obvious shortage of parking for both locals and visitors, in fact it’s described as ” the most pressing issue in O.B. ” ( OBPB page 72 ) in regards to transportation. On July 25th the Coastal Commission issued violation notice V-6-11-007 to Dan Daneri, City of San Diego District Manager Park & Rec. for two major violations of the California Coastal Act of 1976. Pursuant to Section 126.0708 (a)(1) of the City’s Land Development Code, when reviewing a coastal development permit application, the City must make findings that the proposed coastal development will not encroach upon any existing physical accessway that is legally used by the public. This requirement of the review process This requirement of the review process applicable to CDP applications further supports the notion that a Coastal Development is necessary for the subject trailer because it encroaches upon a physical accessway that’s legally used by the public both to park their cars and·access the sandy beach areas of Ocean Beach. According to the California Coastal Act Policy 30251, the scenic and visual qualities of coastal areas shall be considered and protected as resources of public importance. Permitted development shall be sited and designed to protect views to and along the ocean and scenic coastal areas to minimize the alteration of natural land forms, to be visually compatible with the character of surrounding areas, and, where, feasible, to restore and enhance visual quality in visually degraded areas. According to the California Coastal Act (Article 6, §30251), new development in highly scenic areas such as those designated in the California Coastline Preservation and Recreation Plan prepared by the Department of Parks and Recreation and by local government shall be subordinate to the character of its setting. The coastal commission violation explains several times in detail to code enforcement how the city is in violation of it’s own codes and the Coastal Act. Opponents of the decision have ten days with which to file an appeal to be heard by the full Planning Commission. For those of us old enough to remember The Rockford Files, it is reminiscent of the same outdated thinking that allowed the trailer to remain in the Santa Monica Beach parking lot on the TV show that the same theme is playing out in OB with “their” (our) trailer. It is so out of character with the rest of the pier area as to be a no-brianer to have it removed. The kicker, and it is oh so obvious, that the SDPD doesn’t even utilize it for any stated purpose, have a permanent presence manned there to thwart the perceived illegal activity, or to have a real reason for its continued presence on the beach side. Another glaring stupid facet to the lack of common sense or intelligent expenditure of tax payers funds for the benefit of the actual taxpayers. I am sure if put to a vote it would be gone in a second. We all now remain to suffer the fools and their idiotic decisions to keep an eyesore and “monstrosity” at the beach in the name and facade of public safety. Lt Stone. the applicant has continued to make false statements regarding it’s actual use to city staff and the planing board. She claims the trailer is used DAILY by the beach bike team to store bicycles ? I provided photos to city staff and Lt Stone of police loading and unloading bicycles at Robb Field and the life guard tower from patrol cars. She claims it is used for special events ? I provided photos of the SDPD special events trailer that is placed in the lifeguard tower for special events in O.B. Lt Stone has only been at western division for one year, she is the lead puppet for the OBMAPD, the organization that pays for the Bert’s rental trailer. At first I thought she just did not know the facts, but she continues to lie. A disgrace to those of us that honor law enforcement. I’ll find out what the appeal will cost. 1. OBMA has more than 500 members , almost all merchants on Newport Ave are members , not one can provide a 10′ x 10 ‘ and a restroom to police at reduced rent ? 2. Share the restrooms with the lifeguards. 3. Place a smaller a trailer at the lifeguard tower. 4. FOLLOW STATE AND LOCAL LAWS ! OBMA has enjoyed years of protection from SDPD in exchange for $ 600/month. Just curious, how much are the fees for the appeal? ***NOT A CITY TRAILER *** trailer is owned by Bert’s Rentals. $ 600/month including Spanky’s sewer service per Judy Klein of the O.B.M.A. So the OBMA has been paying $600 month since 1999 for this trailer to sit in the parking lot? That is approximately 14 years x 12 months per year x $600 = $100,800??? Why didn’t the OBMA rent a space large enough to accommodate a pee/poopie spot for the police and to store their trailer along with their office space? What a waste of money! The merchants who contribute to the OBMA should be questioning the use of their fees and the OBMA should be paying for the spots they take up in the parking lot. Come on people ….you all should be smarter than this and not be so wasteful with money. They are better things to do with the money and improve the OB community….NO???? How much are the fees to appeal? Pure blight! This degrading trailer/structure detracts from the scenery in OB’s foremost locale. Buncha self appointed whiners won’t let go of their “baby.” All I see. Note to OBMA: There is more to community than your transitory businesses. PS> How does the OBMAs reach/influence extend into a public parking lot exactly? The appeal would have to be filed right away; costs to file should be minimal. Just call the Coastal Commission, and they can tell you. It is their violation if I understand this all correctly.